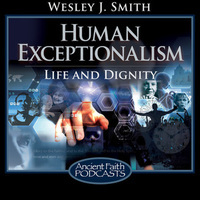 Wesley introduces his podcast, as well as the concept of human exceptionalism. Dr. Polnik introduces the themes, topics, and concerns that he will be exploring in his new podcast. The story of Jesus healing the man born blind in John 9 provides the context for Fr. Pat's reflections on epistemology, anthropology, and history.